SUGGESTIONS AS TO HOW TO PUBLICIZE THIS EVENT, PLEASE! And do please pass info on to anyone you think might be interested. It should be great but am concerned we won't get the audience it merits. Saturday, 7th November, 11am-3pm (with break for lunch) Just £10. Free to members of cfi uk, glha, spes, bha, new humanist and Skeptic mag subscribers. 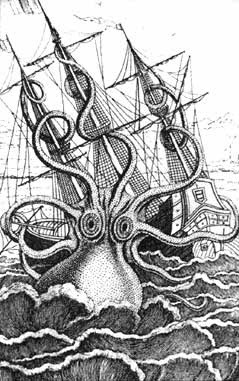 Ever wondered if there is some truth to sailors’ tales of monsters from the ocean’s depths? Venue: Conway Hall, 25 Red Lion Square, Holborn, London WC1R 4RL – Main Hall. Book by sending a cheque with names of attendees to Suresh Lalvani, Ex Director CFIUK, PO Box 49097, Centre for Inquiry, London N11 9AX. Or use paypal – hit “Support cfiuk” button at www.cfiuk.org and follow instructions. I dropped a comment (indeed a question)to your comment on Gaita. Please read it and reply if possible. Maybe worth adding the editor to your email list? by a guy called Frank Pope. When the Alliance needs help, the strong Gryphon live buy wow gold in Aerie Peak will provide assistance. This noble creature is the symbol of the cheap wow gold fortitude of Alliance.